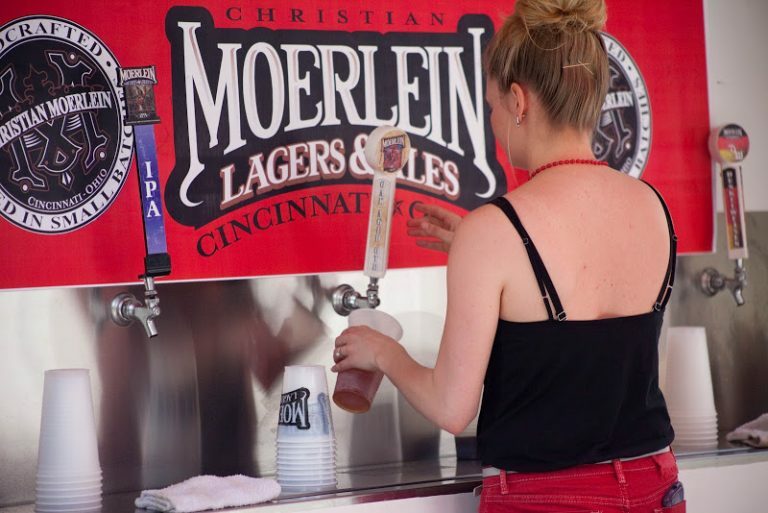 All photos courtesy Cincinnati USA Regional Chamber.Taste of Cincinnati is a Queen City tradition that enters its 38th year in 2016, filling the city’s downtown streets with food vendors, hungry people and lots of beer every Memorial Day weekend. And part of what makes it unique is that after all these years, admission is still free. There is one older such culinary arts festival in the U.S., but it has a slight difference in format, giving Taste of Cincinnati bragging rights. This year’s Cincinnati festival, May 28-30, is still free, and will feature 50 restaurants and food trucks serving more than 265 total menu items. In addition, six stages will feature entertainment from 50 different performers. Many attendees will be just as thirsty as they are hungry, which is why the beer list this year numbers 70, many of those local and regional craft beers. Among that list will be Cincinnati’s own MadTree Brewing, a first-time contributor that will operate the all-new MadTree Beer Garden on Fifth Street between Main and Sycamore, serving five different flavors of its brew: Happy Amber, Lift (a citrusy ale), PSA Proper Session Ale, Psychopathy IPA and Sol Drifter (a seasonal blond ale). In addition, attendees can dig into local craft beers by Christian Moerlein, Over the Rhine Cider Co. and Rivertown Brewery, as well as other nearby favorites from West Sixth Brewing and Kentucky Ale (Lexington, Ky;); Bell’s Brewery (Kalamazoo, Mich.); Great Lakes Brewing Co. (Cleveland); regional favorite Yuengling (Pottsville, Penn. ), Sam Adams (which is based in Boston but has a brewery in Cincinnati as well), and many others, including standards such as Budweiser, which is the festival beer sponsor. And while those after a lighter experience will be able to chug a Bud Light or a Blue Moon, the festival will continue to move in the direction of featuring craft beer as it evolves – especially locally-brewed beer. Indeed, demand for craft beers has increased each year in step with the growing popularity of high-quality brews both regionally and nationally. Last year’s festival drew 550,000 attendees over three days. Organizers expect another good turnout, while also hoping a recent stretch of rain will pass by before the festival opens on May 28. “We’re hoping for some sunny skies,” Walburg says.